Helping a senior loved one find the services they need Southern California can make your head spin. Just knowing where to begin can help a lot. Thankfully, a few free senior referral services in Southern California are available to help. 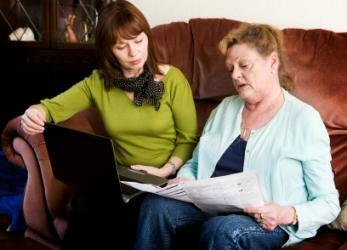 What is the purpose of a senior referral service? In most cases, referral services help elderly citizens and their families look for living accommodations and/or services that can meet their specific needs. These needs might include 24-hour care, or they might include only a few hours a week. The most important goal of a referral center should be to meet the emotional, physical, and financial needs of the client. Senior referral centers may ask you to come to their offices, or the staff may meet with you in your home. The company should do extensive research on housing and service options and offer helpful, knowledgeable advice to help you and your family make the best decision for your care and your living arrangements. Common living arrangements and services include assisted living homes or apartments, retirement communities, dementia or Alzheimer's facilities, board and care facilities, or home care agencies. Specific knowledge of each facility or services that are recommended. This should include tours and inspections of the facility before a recommendation can be given. Hands-on information, such as a library of photos and brochures and printouts, of the information that will be presented. Breakdown of exact services that are offered from each referred facility or agency. Personally conducted tours of facilities and agencies of interest. Conduct an assessment of lifestyle preferences and needs, including financial resources and aid. Continued support during a lifestyle transition into a facility, if applicable. Finding a free senior referral service in Southern California is as simple as clicking your mouse. Keep in mind, however, that while there are numerous referral services all over the state, if you live in the Southern California area, you may want to stick to referral services located in this area as well. The following is a list of free senior referral services in the Southern California area. A Home Away From Home-Billed as a free senior care referral service, A Home Away From Home features staff who visit the assisted living communities, board and care homes, independent living/retirement communities, and Alzheimer's/dementia facilities before making a referral. They provide general information on topics such as location, rates, services, and activities. The staff can also provide more personalized information regarding the facility as well. ElderHomeFinders-ElderHomeFinders visits and evaluates each facility before referring it to families as a good solution for senior care. They set up one-on-one meetings to discuss your preferences and your needs. Southern California Senior Resources-With over 30 years of hands-on experience as licensed administrators of elder care residential facilities, this site bills itself as a premier senior care referral service. Based in Southern California, this agency offers personalized services with a goal of finding the best living arrangement for your elderly loved one. Senior Living SMART-This site offers seven days a week service and provides flexibility and unlimited consultations at no cost to senior citizens and their families. These are just a few of the referral sites available for Southern California seniors. For more information, talk to your doctor or other families who have successfully used referral services. .